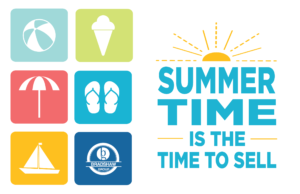 Summertime is THE Time to Sell!! Make the most on your sale!! June dominates as one of the top months to sell your home. Combine that with a fast-paced market and you’re positioned to make the most on the sale of your home NOW!! Let’s meet and make a plan to get you the best price. All of our listings include professional staging and photography, as well as tailored pricing and marketing strategies. This is how we set your home apart from the competition! We look forward to visiting soon – 913.402.2599. HOME! The start of a new year is always exciting for us as we think about those of you we will get to help along the way. Maybe 2018 will be the year of your first home purchase, or a move to be closer to family and friends, or maybe an exciting job change will move you across the city. Whatever the case, we can’t wait to work with you! We’ve been out showing homes today – on January 1 – and are ready to find the perfect home for you! There was not much slow down across the market during the holidays and we look forward to seeing more new listings come on the market. Maybe yours will be one? We work with a professional stager and photographer for all of our listings and invest in marketing and social media to ensure our listings receive the attention they deserve. Our individual contact information can be found here, or you can call 913.402.2599 to be matched with an agent most familiar with your market. Cheers to 2018!! We wish you and yours all the best in the year ahead. Let’s talk soon. 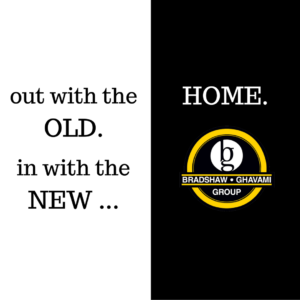 We’re excited to announce another recent addition to Bradshaw Group! Meet Parker Beck, our marketing coordinator! In this new position, Parker supports the continued growth of our commercial and residential business. Related to this, he is focused on creating and implementing new marketing strategies and related materials. Parker works directly with Brice and Laurie, and he will develop and maintain an extensive database for the team. In addition, Parker lends support to our residential agents, as needed. 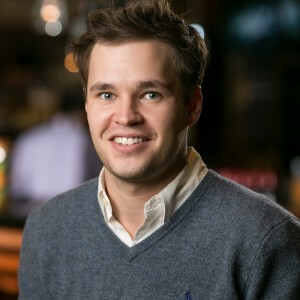 Parker’s work history and love for meeting new people are natural strengths as he works to generate new leads, listings and sales aligned with our goals. We’re so happy to have Parker on our team and enjoy the energy and creativity he brings to the group! We hope you’ll have an opportunity to visit with Parker soon. If you’re looking for a multi-family investment in the Lee’s Summit area, be sure to check out our exclusive multi-family offering at Westvale Duplex Portfolio. Listed at $1.35M, it includes 30 units: 26 (2-bedroom, 1-bath); 2 (2-bedroom, 2-bath); and 2 (3-bedroom, 1-bath). The average unit size is 620 square feet. Located just south of I-470, off NW Chipman Road at 604 Westvale, the portfolio is quaintly located in a subdivision with scenic grounds and large mature trees. Most units have been rehabbed with new roofs, new HVAC systems, new supply lines and washer/dryer hookups. The units have excellent window lighting are cable/Internet/phone ready, offer fully equipped kitchens, newer paint, mostly tiled floors and many feature new windows. Westvale is conveniently located just minutes from John Knox Village (a large employment center), as well as major shopping centers (Summit Fair and Summit Woods Crossing). 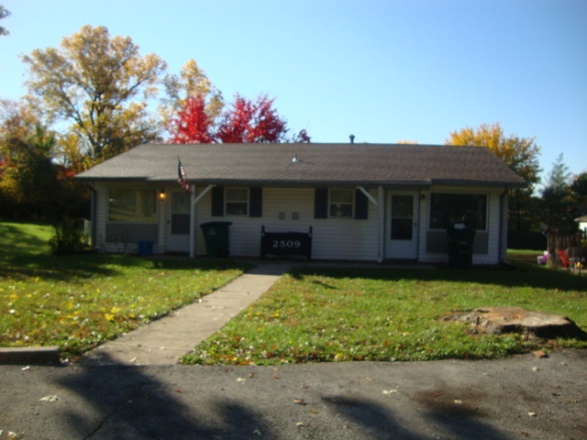 It is also close to Metropolitan Community College at Longview, Baker University, National American University Lee’s Summit and University of Central Missouri (Colleges & Universities). It offers easy access to major highway arteries. To learn more about Westvale, as well as our other commercial listings, call Brice Bradshaw at (913) 219-7074. Don’t miss out on this new West Plaza investment opportunity! 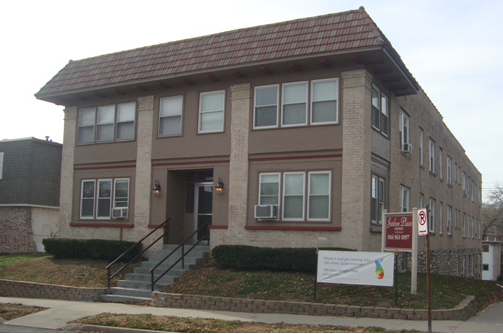 Jarboe Place Apartments is an exclusive, multi-family property offering. Priced at $735K, it has 18 units with a mix of: 4 units (1-bedroom + den + 1-bath); 5 units (1-bedroom + 1-bath); 9 units (studio). The studio units have a separate dressing nook and ample closet space. Jarboe Place has had more than $50,000 of improvements completed since April 2013 and is wired with Google Fiber. The units offer a mix of original hardwood floors and carpet. The common area hallways are attractive, wide and feature original hardwood floors. The units also include excellent window lighting, galley kitchens and window air. Jarboe Place is on a central boiler system for heat and hot water. The complex features a full basement with laundry facilities and potential storage. Both the front and rear exits are secured entry, with the front electric push button entry. Located in the popular West Plaza area, Jarboe Place is just a few blocks away from the Country Club Plaza, and is centrally located near KC’s central commerce corridor and downtown. For more information and photos, click here. Call Brice Bradshaw at (913) 219-7074 with questions or to schedule a showing today. © 2019 - Bradshaw Group. All rights reserved. The information displayed on this page is confidential, proprietary, and copyrighted information of Heartland Multiple Listing Service, Inc. ("Heartland MLS"). © 2019, Heartland Multiple Listing Service, Inc. Heartland MLS and Reece Nichols Overland Park do not make any warranty or representation concerning the timeliness or accuracy of the information displayed herein. In consideration for the receipt of the information on this page, the recipient agrees to use the information solely for the private non-commercial purpose of identifying a property in which the recipient has a good faith interest in acquiring. The data relating to real estate displayed on this website comes in part from the Heartland Multiple Listing Service, Inc. database compilation. The properties displayed on this website may not be all of the properties in the Heartland Multiple Listing Service, Inc. database compilation, or all of the properties listed with other brokers participating in the Heartland Multiple Listing Service, Inc. IDX program. Detailed information about the properties displayed on this website includes the name of the listing company. Data last updated 04/26/2019. Any personal information that you may share with us is kept absolutely private. Neither your name nor anything about you is sold or shared with any other company or agency. Occasionally, we may contact you to make you aware of our services, upcoming products or specials. However, we do respect your right to privacy and will not send notices if you contact us and ask us not to.